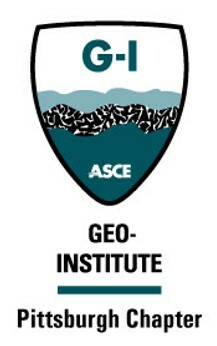 The Geo Institute (G-I) is a specialty organization focused on the geo–industry. Created by the American Society of Civil Engineers in October 1996, our 10,400+ members and 37 member organizations now include scientists, engineers, technologists, and organizations interested in improving the environment, mitigating natural hazards, and economically constructing engineered facilities. Our organization enhances a geo-professional's career development through technology transfer via specialty conferences, journals and practice-oriented publications; educational programs; networking and coalition-building; and leadership on emerging issues. The G-I recognizes outstanding contributions to the geotechnical engineering profession through its award programs, such as the Karl Terzaghi, Ralph B. Peck, and Wallace Hayward Baker honors. Locally, the G-I's Pittsburgh Chapter hosts numerous events throughout the course of the year. The Chapter strives to provide a venue for speakers with topics of interest to members on both a global and local scale. Traditionally, the program year is a mix of world-renowned speakers, such as the Terzaghi and Seed Lecturers, and engineers with ties to local/regional projects of note. However, the speakers and topics describe only a portion of the G-I experience. G-I events are also a forum for geotechnical professionals to discuss technical and policy issues; they are networking events where peers make contacts and learn more about the region’s geo-industry; and they are opportunities for younger professionals to interact with some of the more prominent local figures in geotechnical engineering in an informal environment. Planned events for the remainder of this program year - see our Calendar link for all future events. As part of the ASCE Pittsburgh Section Strategic Planning the GI has set the a goal to maintain a diversified geotechnical platform. Read more here. GI will also be working to encourage and increase cross-disciplinary networking and knowledge exchange. Details here.